Since 9/11 a lot of people have promoted themselves as “terrorism experts.” Most are not. Many of these new “terrorism experts” hail from the halls of American academia–places that frankly provide very little in the way of background for the study of terrorism. It’s as if the same bunch who got it wrong during most of the Cold War saw an opportunity in the field of terrorism and became instant experts overnight. There are a lot of problems with this phenomenon of overnight terrorism experts, not the least of which is the fact that oil-rich Gulf states such as Qatar, the United Arab Emirates, Kuwait and Saudi Arabia have showered US academic institutions with millions of dollars. This has resulted in terrible bias inside our universities. These same sources of funding, after all, provide funding to Jihadist terrorist organizations. It’s a neat set-up. Islamists fund the Jihadis over there and fund universities here in the West to influence what is taught to our young people. So, what we have, in many cases, are instant “terrorism experts” who are beholden to the very community that promotes terrorism. We’ve seen a possible outcome of this process in an atrocious article published by Politico magazine on October 7th. The title is Why ISIL Beheads Its Victims. The lead author for this screed was a man named Robert Pape, who is on the faculty at the University of Chicago and actually serves as the director of the Chicago Project on Security and Terrorism. Pape is a pure academic. Nothing in his background commends him as an expert on terrorism. His biography reveals a man who has spent 30 years with his head buried in books, with no evidence of real-world experience or interaction with the enemy. In Why ISIL Beheads Its Victims, Pape attempts (very weakly, as befitting a pure academic) to make the case that the Islamic State (he tellingly refuses to acknowledge the name by which the enemy refers to itself) is beheading victims purely for publicity purposes. He denies any connection between Islam and the practice of beheading. The first mistake Pape makes is treating the beheadings of a few Western hostages as the only cases worth examining. It’s not a huge surprise that someone would come to the conclusion that the beheadings were just a publicity stunt if the only beheadings one was looking at were the beheadings of a few Western hostages. But when one takes a broader view and examines the numerous beheadings carried out by the Islamic State, Al Qaeda and other Jihadist groups, many of which received no publicity at all, the inescapable conclusion is quite different. 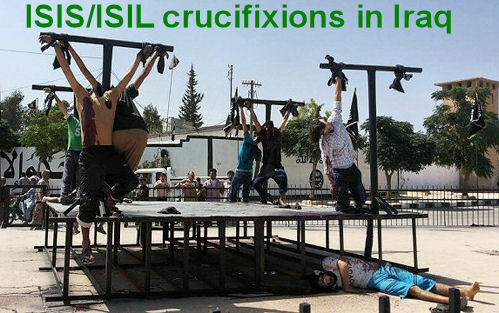 Moreover, there are also the numerous crucifixions that have been carried out by Jihadists, which aren’t simply designed as publicity stunts either. All that said, there is no doubt that the Jihadis are sending a message with these methods of execution. It’s just not the message that Pape supposes from his purely Western mindset and lack of real world experience. The Islamic State is in fact carrying out beheadings for a specific reason. They are carrying out the Sunnah of Mohammed. 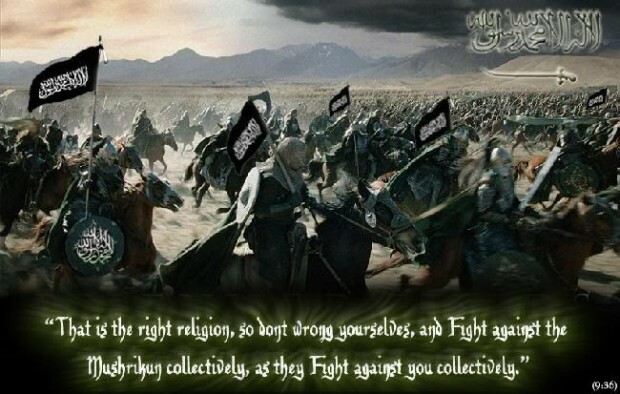 You see, Muslims are supposed to follow the perfect example set by the prophet Mohammed and they are supposed to follow the commands from Allah and the commands uttered by Mohammed. 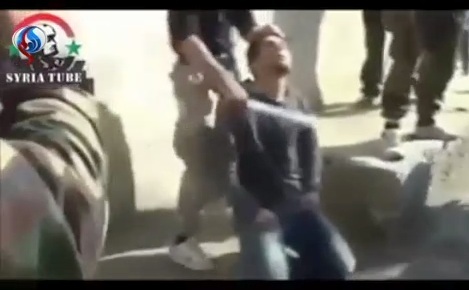 An examination of Islamic doctrine shows that the basis for beheadings comes from Islamic scripture, both non-abrogated verses in the Quran and examples from the life of Mohammed laid out in the Hadith and the Sirah, which are the other two components of the Islamic trilogy along with the Quran. Armchair “terrorism experts” like Robert Pape go to ridiculous lengths to ignore and deny the basis in Islamic doctrine for acts of Jihadist terrorism, such as beheadings, crucifixions and other atrocities. But in the real world there are actual reasons why Jihadis do what they do, how they do it. We are all left to wonder why Pape and his ilk in the ivory towers deny the truth.